Now tomatoes are getting at their best again, this is a delicious risotto recipe to take full advantage! Based on a recipe from Hugh Fearnley-Whittingstall’s “River Cottage Veg: 200 Inspired Vegetable Recipes” cookbook. I only slightly tweaked Hugh’s version for the tomato sauce by adding more garlic and balsamic vinegar to accommodate personal preferences. 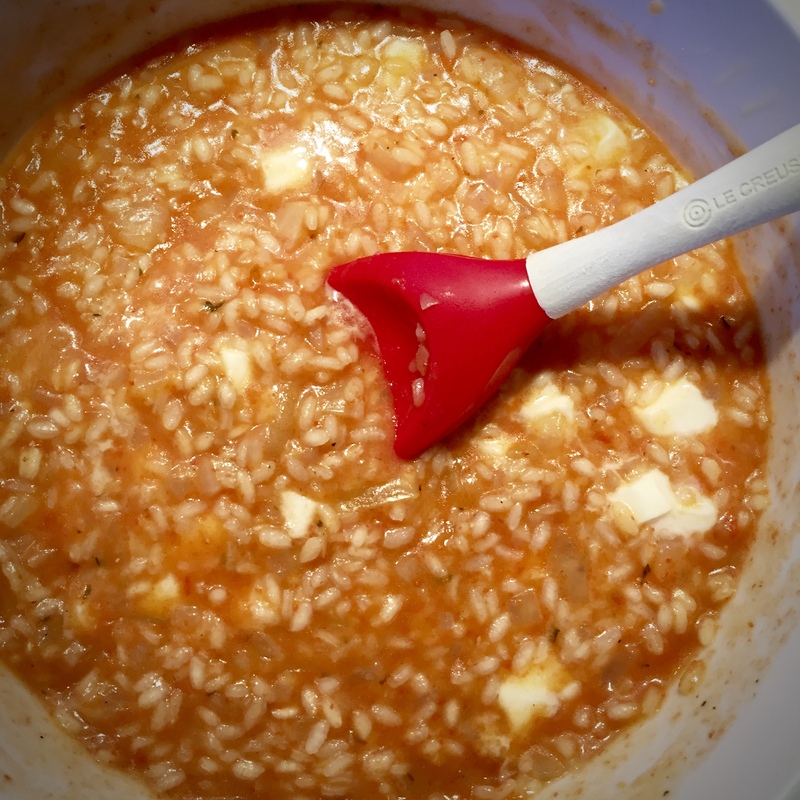 I followed the recipe for the risotto to the letter as I was very curious on how the liquid-to-rice ratio would work out with the last-minute addition of the tomato sauce and what its impact would on the consistency of the risotto itself. No worries there, it was spot on. This recipe is accurate and serves 4 persons. It does take a more prep time than a regular risotto due to the oven roasting the tomatoes, but it will beat almost any passata that you can buy in the supermarket! 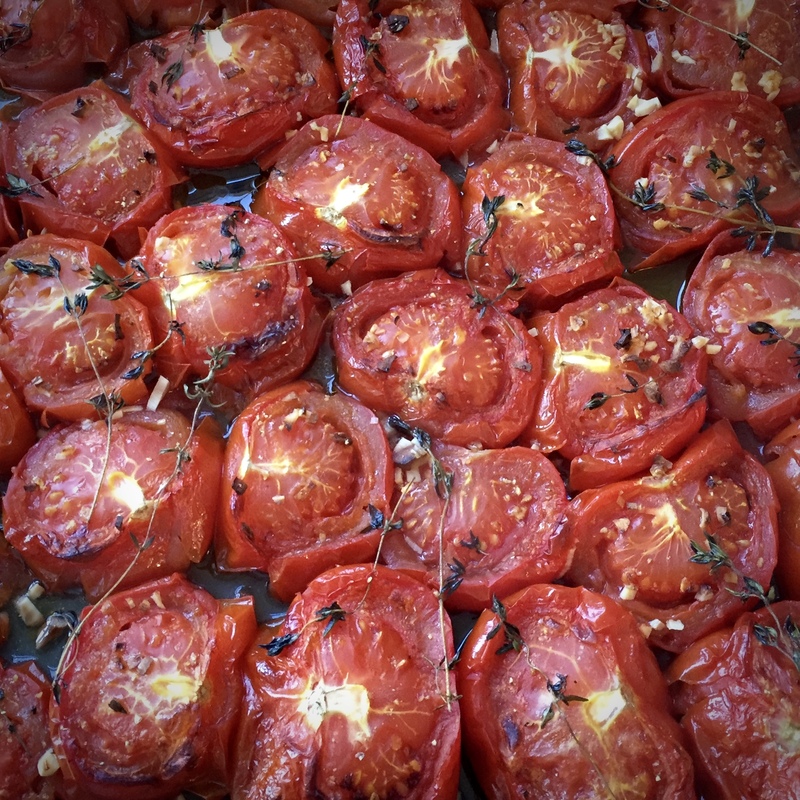 As you only need part of the tomato sauce recipe, you will have enough left to incorporate in other dishes or put it the freezer for future use. The tomato sauce recipe yielded about 950ml (1 quart) of which you only need 200ml (7 floz) for the risotto. No things that didn’t work in this dish, but the general feeling was that it would benefit from a last-minute addition of shredded fresh basil. Verdict: 9/10; it will definitely be made again.